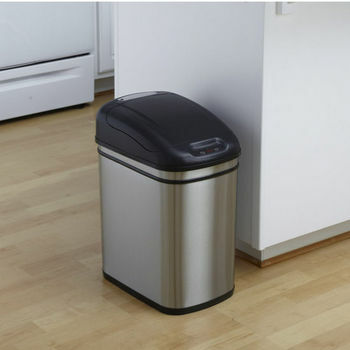 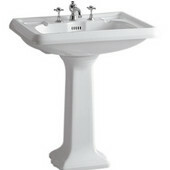 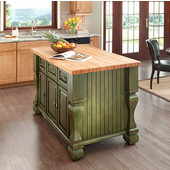 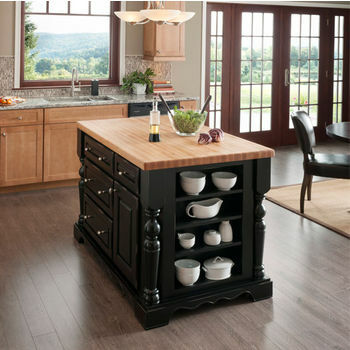 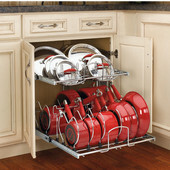 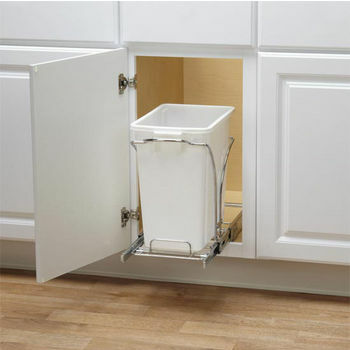 Trash Cans: Free Standing & Built in Under Cabinet & Pull Out Garbage Cans for Your Kitchen, Bathroom & Commercial Use. 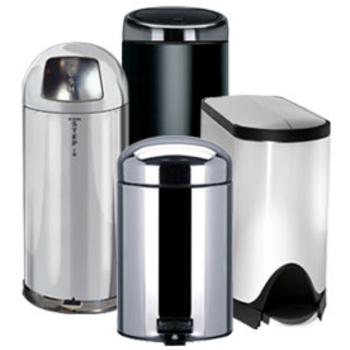 Select the right trash management for your home from our large selection of waste bins and trash cans from Hafele, simplehuman, Witt, Nine Stars, Cool-Line, iTouchless, Blomus, Rev-A-Shelf, Knape & Vogt, Safco, Glaro and Polder. 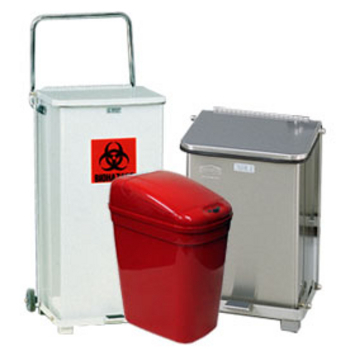 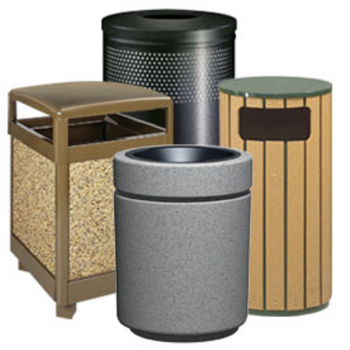 By combining American and European trash can manufacturers, we can accommodate your specific trash disposal needs with a variety of styles and looks. 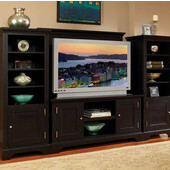 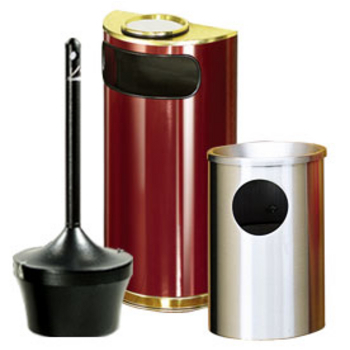 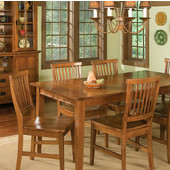 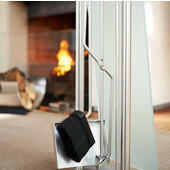 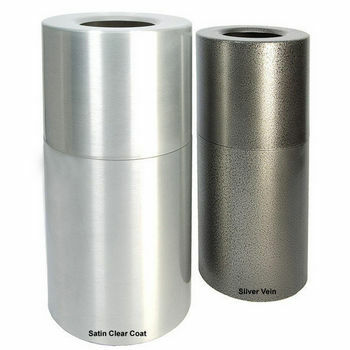 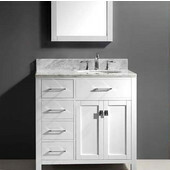 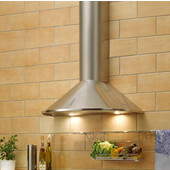 We offer both contemporary and simple designs that elegantly conceal your trash while controlling odors. 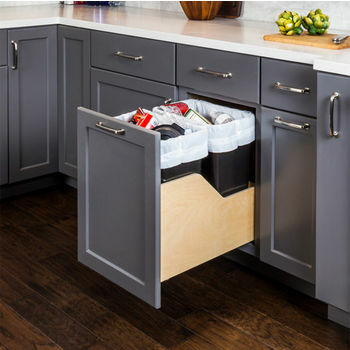 Choose from more sophisticated, stainless steel trash can models that feature hands-free operation, pull-out trash cans that mount to your base cabinets and hide neatly under your sink, or several styles of pedal operated trash cans that come in a myriad of shapes and colors. 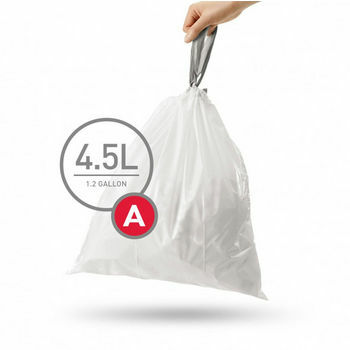 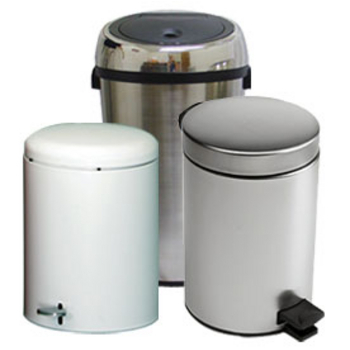 We carry both small and large capacity trash cans that are ideal for indoor and outdoor use, and adhere to the sensibility of function and durability. 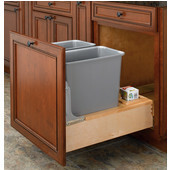 Keep your trash out of sight, and your kitchen looking and smelling fresh with an integrated, built-in trash can. 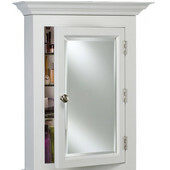 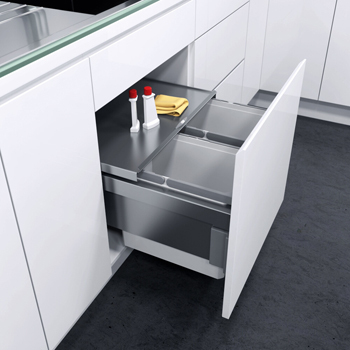 With features like odor absorbing charcoal filters, lids that automatically open and close, soft-close hinges, and compost/recycling bin options, these built-ins can hide behind your current cabinet doors, making them blend in seamlessly. 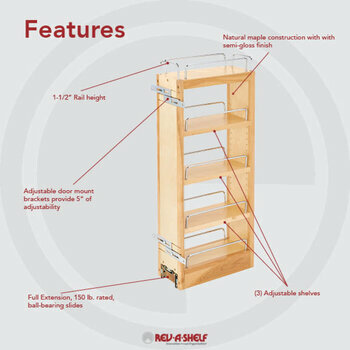 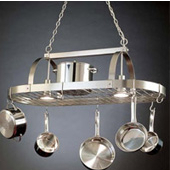 With options from Hafele, Rev-A-Shelf, Knape & Vogt, Omega National and more; you�re sure to find the perfect one for your needs. 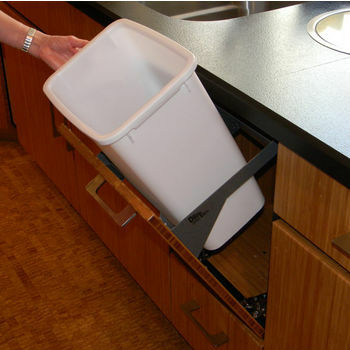 Hide that unsightly trash, and create a clean layout for your kitchen�with a built-in trash can. 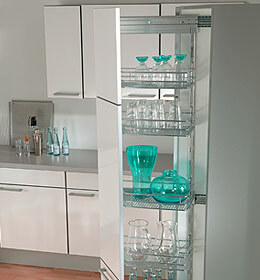 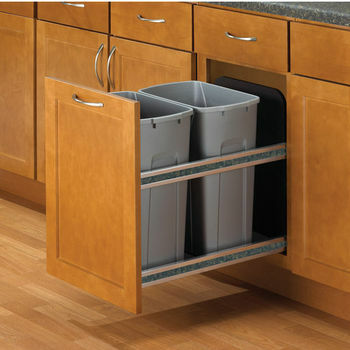 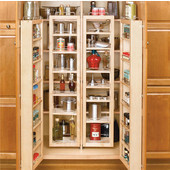 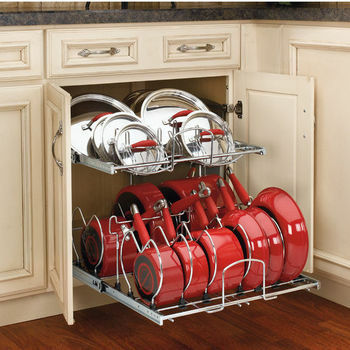 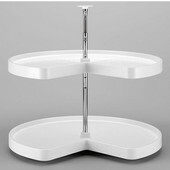 Hafele's built-in trash cans can pull or swing out of your kitchen cabinet for easy access. 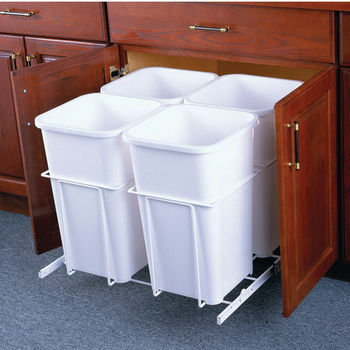 Available in 12", 15" or 18" sizes, this recycling cabinet makes it easy to separate recyclable items. 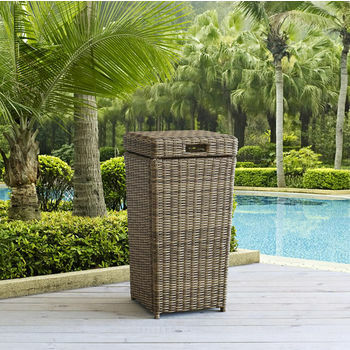 Knape & Vogt offers durable trash cans that can handle anything you throw into them. 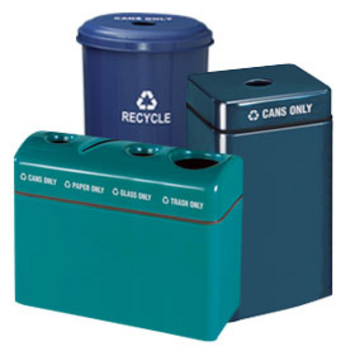 The rotating recycling center features three easily removable bins. 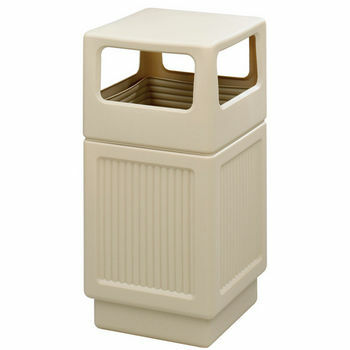 Blomus trash cans offer stlye and functionality to any setting. 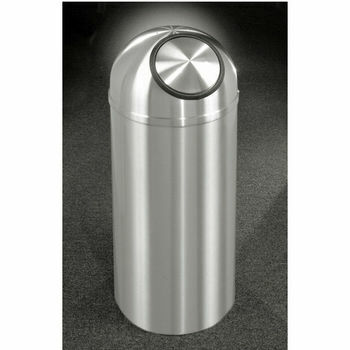 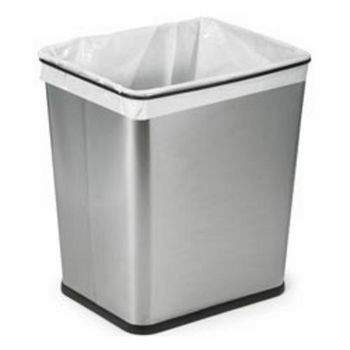 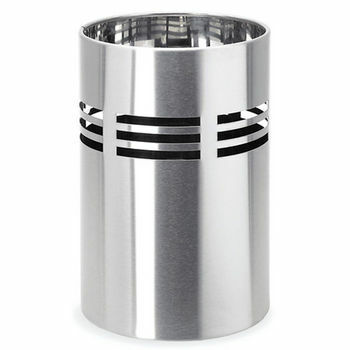 Specializing in stainless steel trash cans, Blomus has a great live to choose from. 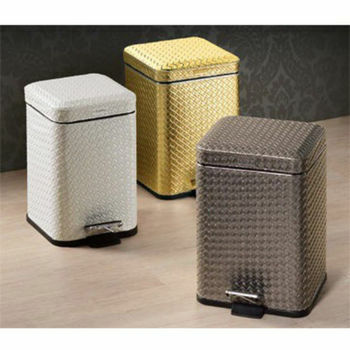 Glaro offers a wide variety of elegant and functional commercial-quality trash cans and ash urns. 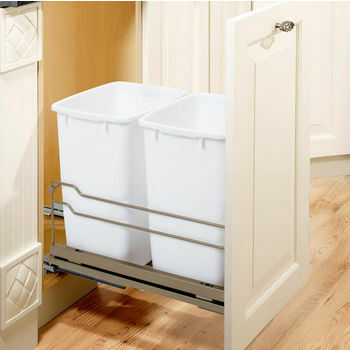 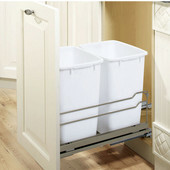 Vauth Sagel by Fulterer's waste basket pull-out offers a conventient hiding place for up to two waste bins. 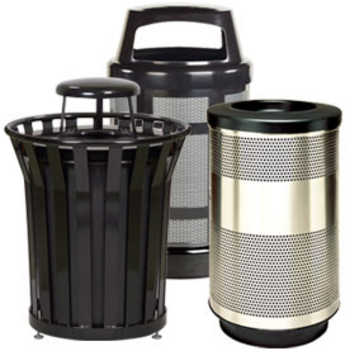 Witt offers this selection of metal and fiberglass outdoor trash cans and ash urns. 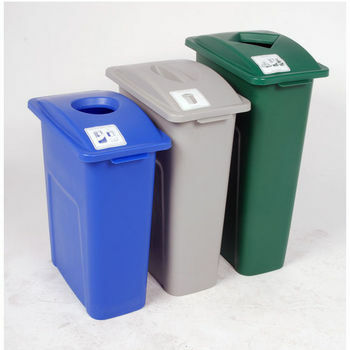 These trash cans and recycling containers look great in front of your business or home. 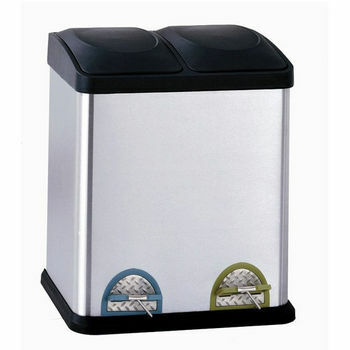 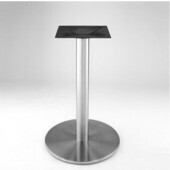 Free standing and pedal waste bins and sanitary bag holders from Nameeks. 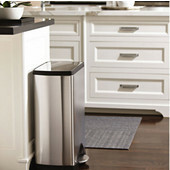 Neu Home trash cans and recycling bins feature convenient step-on open and close lids. 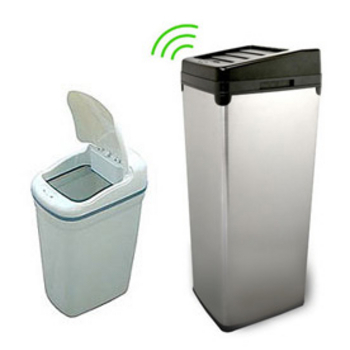 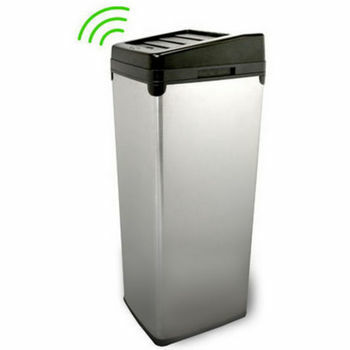 iTouchless offers hands-free operated trash cans for both residential and commercial purposes. 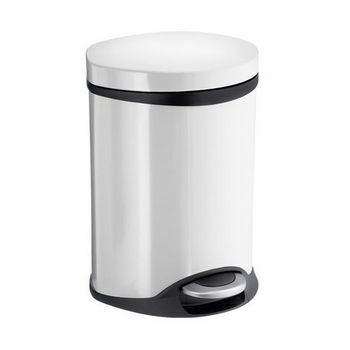 Nine Stars offers infrared motion sensor that automatically opens & closes the lid so you never have to touch the trash can. 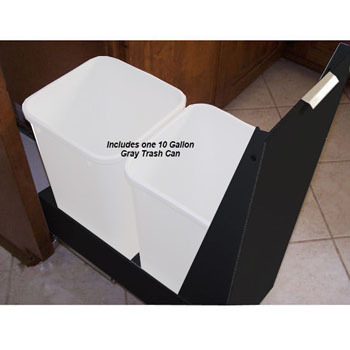 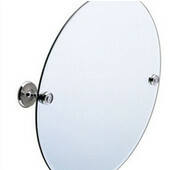 Each trash can features a push door or lid that closes tightly to control odors. 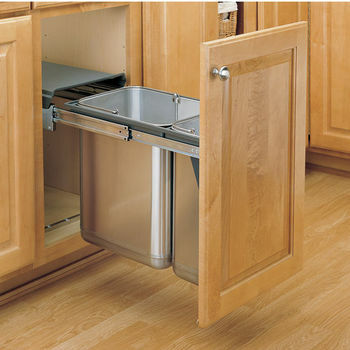 The Dropout Cabinet Fixtures Waste Bin Systems are an amazing convenient for food prep area and users don�t need to bend over to use it.